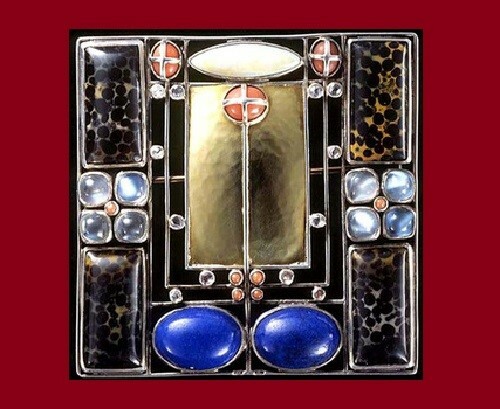 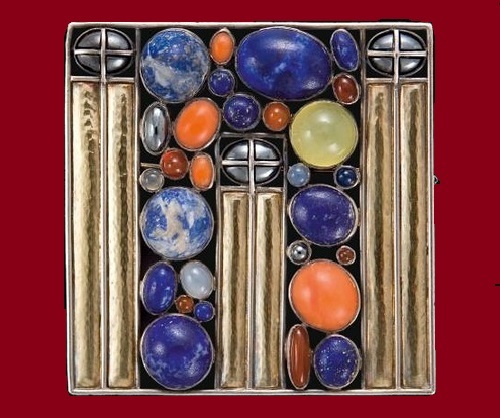 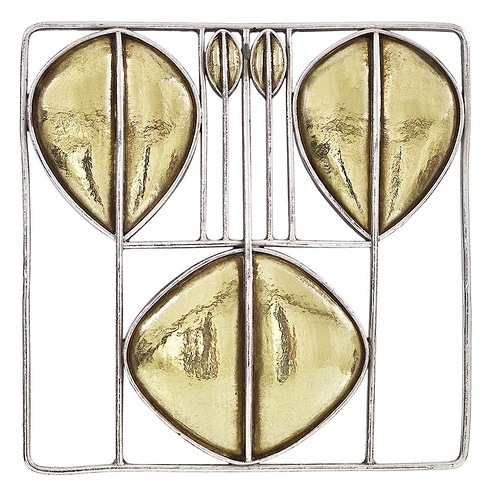 Josef Hoffmann Art Deco brooches were made at the beginning of the 20th century in Austria. 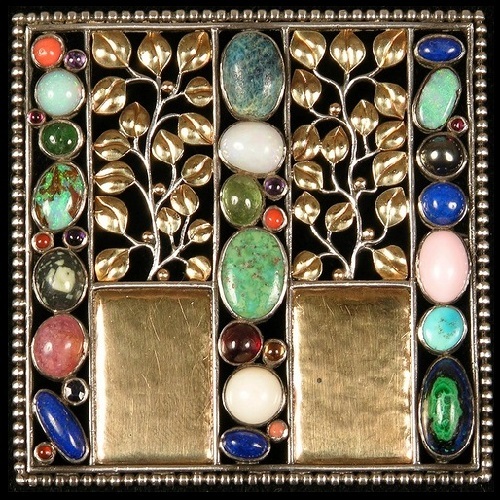 Silver or yellow gold, they were beautifully decorated with various gemstones – agate, amethyst, bloodstone, carnelian, coral, tourmaline, hematite, jelly opal, lapis lazuli, moonstone, sapphire. 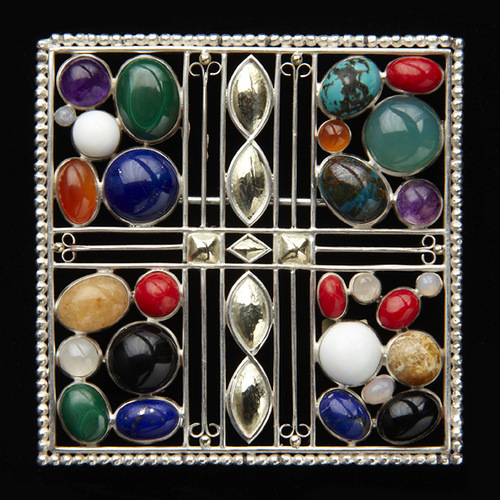 Semi-precious stones of different colors, harmoniously inserted in the decoration lined up in vertical columns, giving the brooch an interesting geometric shape, and interesting color scheme. 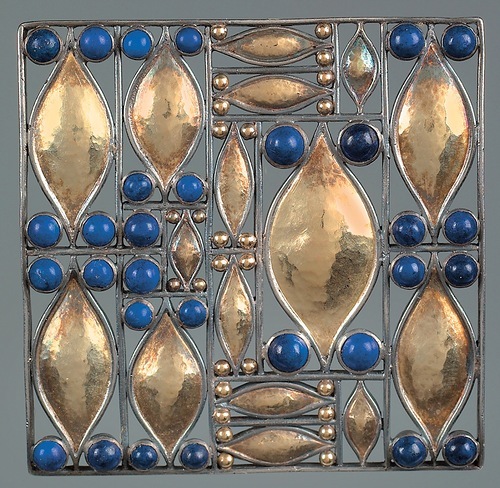 Josef Hoffmann (1870 – 1956) was Austrian architect and designer. 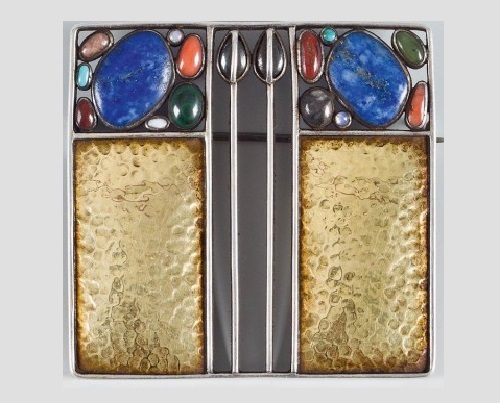 He was a pupil, assistant, and disciple of Otto Wagner, and one of the pioneers of the Modern Movement in Austria. 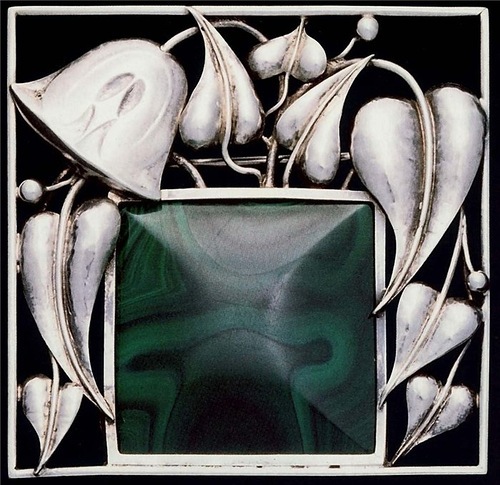 His mature style was based on the right angle and other primary geometric forms, but it was extremely elegant and refined, rather than severe. 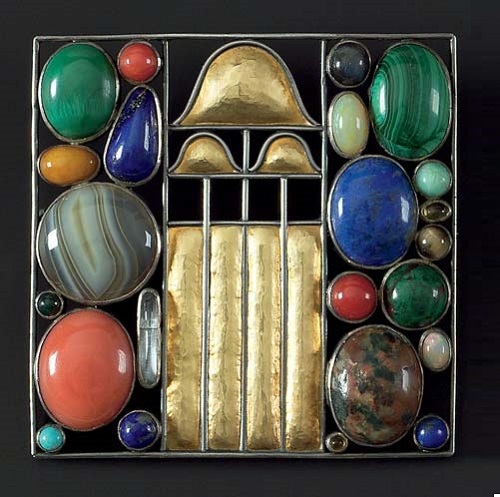 Hoffmann designed numerous Austrian government pavilions for exhibitions throughout Europe and many houses in Vienna, but his best-known work is in Brussels. 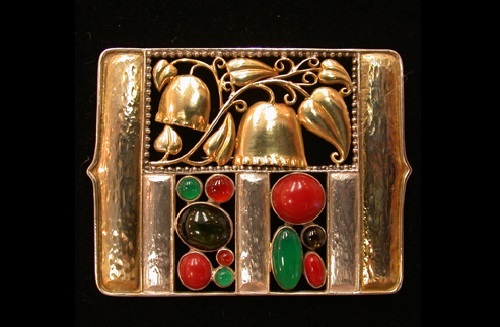 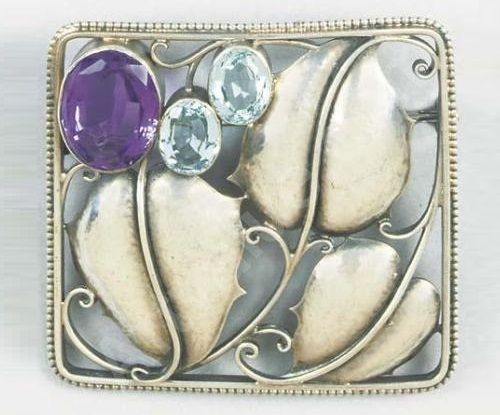 The brooches designed by Josef Hoffman in 1905 – 1907, were later made in Vienna’s Workshops. 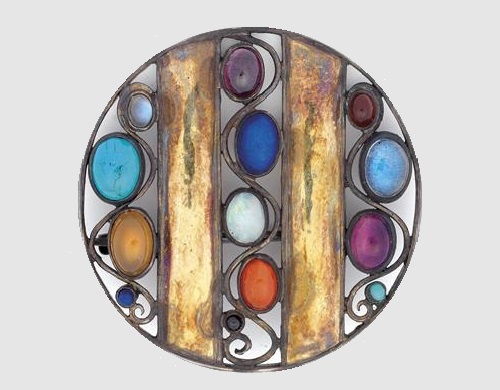 The Vienna’s Workshops (Wiener Werkstätte) established in 1903, was a production community of visual artists in Vienna, Austria bringing together architects, artists and designers.